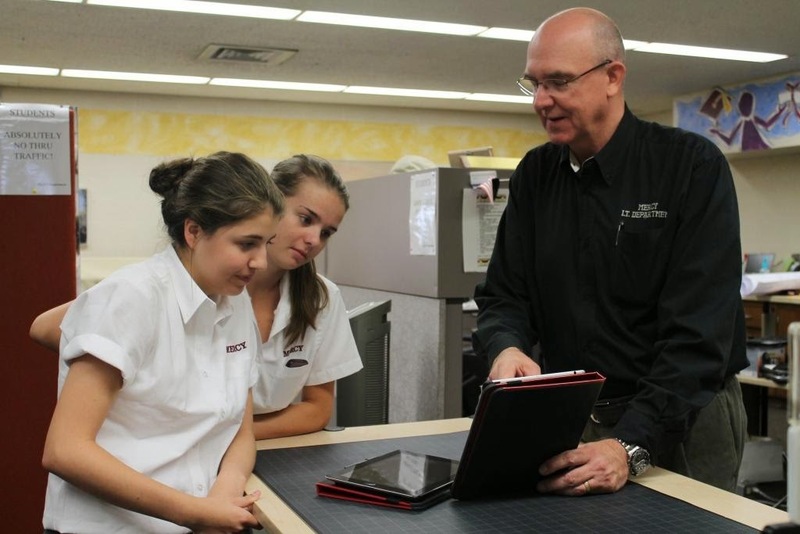 It is hard to believe that the 2015-16 school year will be our fourth year of going 1:1 iPad at Mercy High School. Since our adoption of the iPad involved switching 1:1 devices, we began the program with ninth graders, and then successively required all incoming students to purchase iPads. Next year, every student in the building will have one. When we started the program, we had a fundamental concern that Apple could not really answer for us because the device itself was so new: How well will the iPads stand the test of time? Thankfully, the iPads have stood up incredibly well. While we sometimes encounter storage issues, we have not experienced hardware or battery issues. We are pleased that the “old” iPads have retained excellent residual value, allowing us to present a “buy back” option. He have few regrets about adopting the iPad as our 1:1 device.